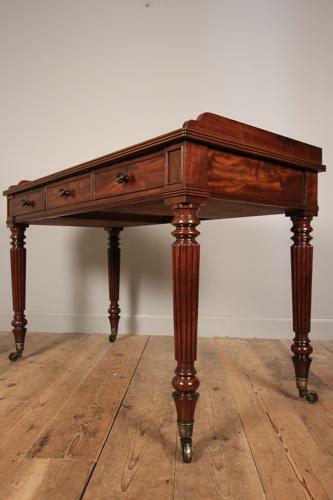 A Regency Mahogany Side Table by renowned makers Gillows, having reeded edged top with shaped gallery rail, with an arrangement of 3 working drawers and flanked by inset panels. The whole raised on reeded tapering legs and terminating in the original brass cup castors. English, Circa 1820.